Unlock greater value for your customers and build rewarding relationships. Digital Transformations depend on solutions that are tailored for the users, driven by engineers and empowered by the best of breed software. We understand that your customers will need not just a good, but the best tool that will enable them to build predictable workflow, see the big picture and deliver faster. Solving our customers' most critical business challenges together. Gain comprehensive knowledge for the product and play an integral part in its development, expansion and success. Our Partners are hand-picked for their skills, experience and ability to deliver the best consulting, implementation and onboarding that complement our service. Sales commissions. Get compensated based on your activity and engagement with the product. More business. Expand your professional portfolio by “bundling” specialized services with your Kanbanize expertise. Sales support. We will help you with your first sales calls, demos, and customer inquiries. Marketing collateral. Work with our Marketing team on joint initiatives and access co-branded materials to share with clients. Preferential licensing. As our Partner you are entitled to exclusive licensing offers to maximize your value proposition. Partner Success Managers. You need assistance or want to share feedback? Our team is always here for you. Work with your dedicated PSM to leverage your business. Become a Trendsetter. Get early updates on the product and play a key role in our development roadmap with your market expertise. Consulting Partners often drive organizational change within the companies they work with. Their goal is to help teams improve by enhancing collaboration, innovation, and introducing techniques to promote adaptability and flexibility in the face of unpredictable circumstances. For them Kanbanize is the missing piece when providing a full package of services to their clients. 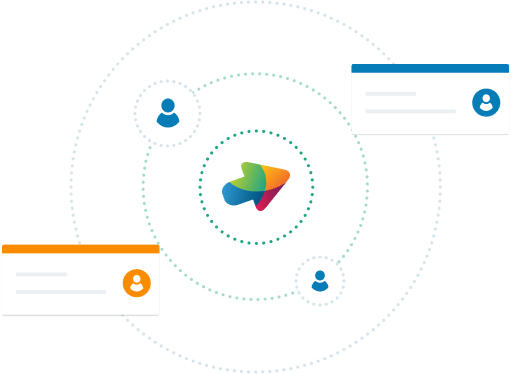 Solution Partners integrate Kanbanize with other software systems to complement them and add value while delivering custom-tailored, holistic solutions to the end customer. They work along with our development and sales teams to exceed users' expectations and help achieve the goals of the company. Our Affiliate Partner program is here to reward individuals who are looking to introduce the best software solutions to their professional networks. It attracts influential industry leaders who recommend Kanbanize actively after having personal experience with the product. Is the Partner Program relevant for me? To answer this question, we will need more details about your current professional focus. Fill the application form or share your concerns by e-mail at partners@kanbanize.com. What if I can't commit to a certain number of customers? We don’t need commitments for exact numbers. If you're a devoted Kanbanize fan and you're willing to work with us actively, you will become successful either way. How much can I make? Is there a limit on the total commission I can receive? No limits! The more purchases you drive, the more you earn. When will I know if I'm approved for the program? We will get back to you with the next steps in 1 business day of your application submission. When and how are Partner commissions paid? Our commissions are paid out by wire transfer on a quarterly cycle and up to 15 days after the end of the quarter. Can I promote Kanbanize on my blog or social media? Sure! If that's the only way you will engage with Kanbanize you can apply for our Affiliate Program. If you choose the Consulting or Solution Partner Programs you can use social media promotions to collect leads for a personal demo of Kanbanize for example. Am I allowed to advertise Kanbanize using Pay-Per-Click? You can always contact us at partners@kanbanize.com. Visualize key initiatives and break them down into smaller tasks. This portfolio Kanban approach allows you to manage flows not only on a team level, but also on a management level.